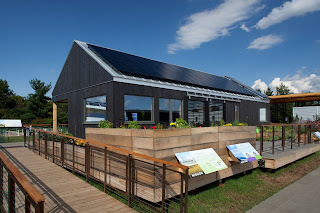 The U.S. Department of Energy's Solar Decathlon consists of ten contests; architecture, market appeal, engineering communications, and affordability are evaluated by jurors or contest officials who are professionals in relevant fields. Comfort zone, hot water, appliances, and energy balance are measured contests. The final category is home entertainment category and involves completing certain defined tasks as well as hosting dinners and a movie night for neighbors, who vote for their favorites. Does the design offer a safe, functional, convenient, comfortable, and enjoyable place to live? Does it feature intuitive house controls? Does it meet the unique needs and desires of the target client? Does the house have curb appeal, interior appeal, and quality craftsmanship? 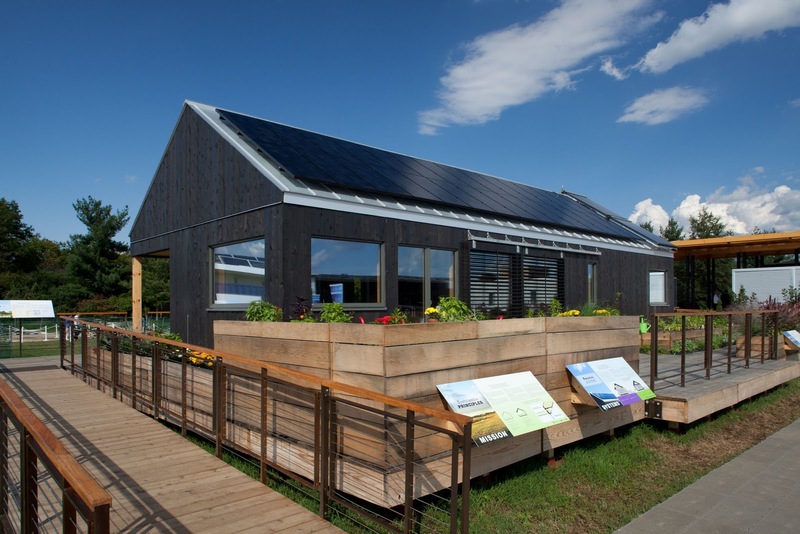 How well do its sustainability features and strategies contribute to its marketability? Does the house offer potential home buyers within the target market a good value? Would the construction documents enable a contractor to generate an accurate construction cost estimate and then construct the building as the design team intended it to be built? Can the house's materials and equipment be immediately adopted and built in the private sector? The top score for market appeal was awarded to "Self Reliance" by Middlebury College (Vermont). The team created a beautiful and comfortable two-bedroom home that seemed to have an ideal balance between public and private spaces. And although no mention was made of LEED, this house addressed every aspect of sustainable design and construction. This house would appeal strongly to potential homeowners in New England because the design, both inside and out, stays close to the vernacular architecture and extensive use is made of plentiful local materials. For instance, the wooden floors were made of trees culled from the woods on campus and finished with a locally manufactured whey-based product. The floors of the kitchen and entryway were made of Vermont slate, which would be easier to maintain in those areas than wood. 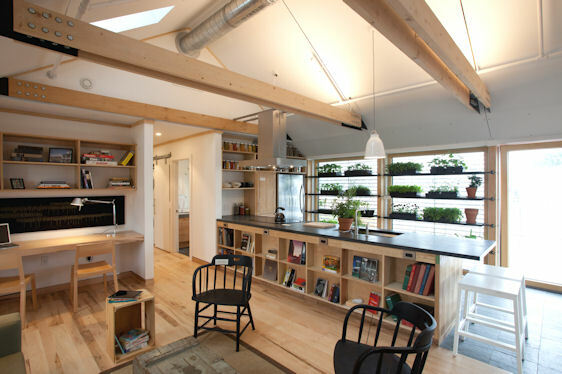 The kitchen is especially attractive and features a glass wall that doubles as a greenhouse for fresh herbs and vegetable seedlings. A vehicle title bank won't squander your chance; as long as you get all the capability data, once your auto is evaluated, you will know immediately regardless of whether your application has been affirmed.